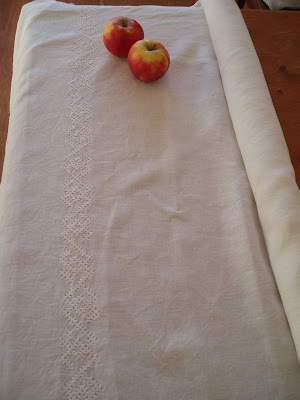 I finally finished the first part of my 14th century tablecloth: a border in interlacing stitch :-) It's about 100 cm by 5 cm. It took me about 30 hours: I needed about 1,5 hours for each sequence (the close-up above shows 2 sequences). 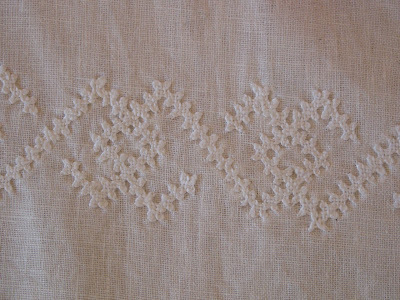 You can find pictures of similar whitework borders here, here (the one I'm trying to re-create) and here. I wrote a tutorial for this type of embroidery here.